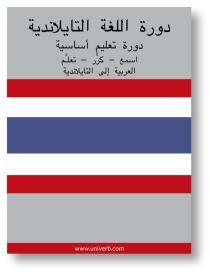 This is a bilingual (arabic to thai) downloadable course inThai. The course contains of 3 hours MP3/AAC-file downloaded recorded material and 2 course booklets in PDF-format. The textbooks follow the chapters of the recording. According to the scale provided by the European Council’s levels of Language Proficiency, you will have mastered level A1 at the completion of this course.